The LIFEGARD fluidized bed filter is based on one of the most basic ideas on nutrient export. It uses a fine angular media that is designed to have a large surface retention area to grow large biological colonies of bacterium. 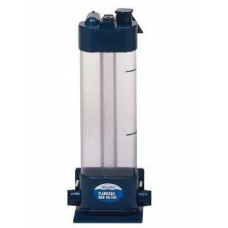 The filter has been designed with a specific canister shape to allow for maximum fluid contact with the media, this allows a longer contact time for the biological denitrification process to consume excess ammonia, nitrite and nitrates. 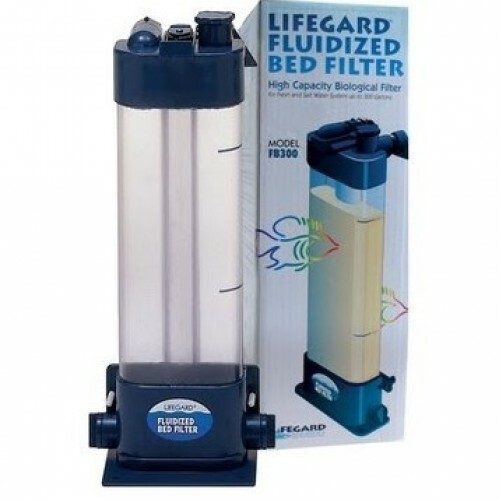 The LIFEGARD fluidized bed filter is designed with a plethora of features that allow the aquarist to completely disassemble the filter and clean all surfaces or perform routine maintenance. 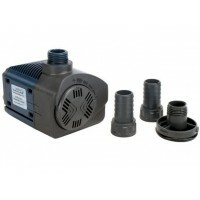 The top of the filter unit houses a one way check valve to prevent any media from escaping in the event, that there is a back syphon created. 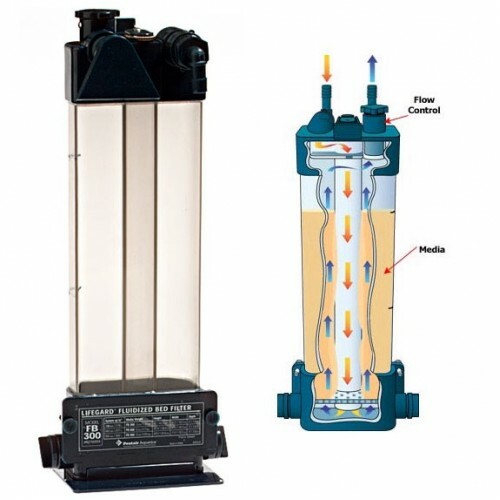 The bed filter also has a return control valve that allows the aquarist to meter the water exiting the filter to help control media response within the reactor. 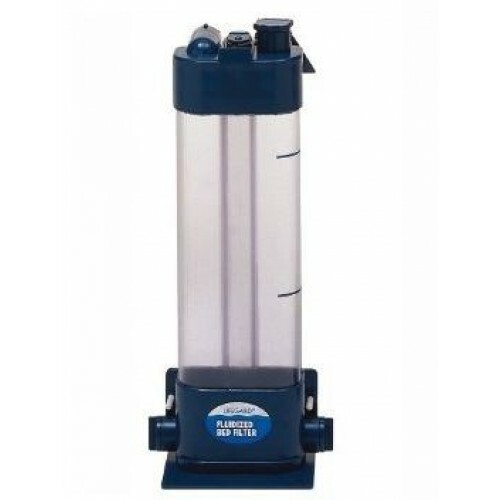 The unique clear body allows the aquarist to observe the fluidized media and make any changes to the flow rate. 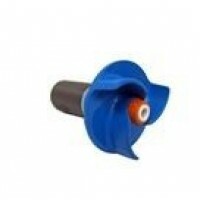 The outlet of the bed filter is designed to help oxygenate the water exiting the filter by spreading the run-off in a thin layer of falling water. 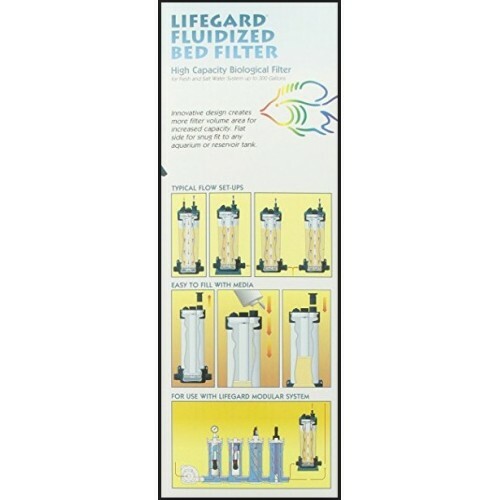 Last but, not lest the LIFEGARD fluidized bed filter can be installed in-line with LIFEGARDS modular filter system. 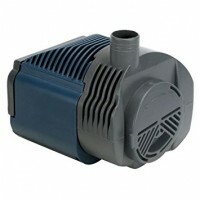 The filter should be powered by a LIFEGARD 800 or comparable pump. Dimensions: 3" x 7.5" x 17"